Is it possible to run a three phase induction motor with one phase power supply? It is required to put an electric oil capacitor in motor circuit connecting other phases of motor together in order to start a three phase motor using one phase power supply. The size of capacitor shall be calculated based on the type of the motor circuit (delta, star) to achieve proper torque at motor output and also limit the start current. Based on a practical method, a 50 µF capacitor for each 1 khp or a 70 µF capacitor for each 1 kW of motor power would be enough. 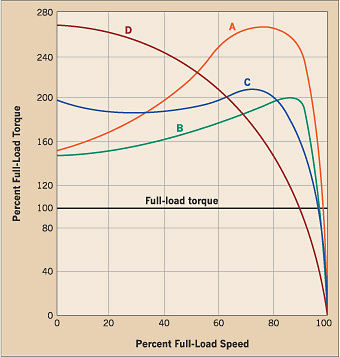 How does the load factor of a motor vary? Normally the load factor of motors in their nominal load is between 0.75 and 0.88. When they are running at half of the nominal load, the load factor would change between 0.45 and 0.6. Running at no load, motors load factor goes down even equal to 0.2. This is due to less active power consumed by motor comparing to reactive power. Pay attention that a big motor under the load has a lower load factor compare to a smaller motor which is running under the same load. For example a 3.7 kW motor which is running at full load has a greater load factor (above 0.9) than a 22 kW motor driving a 3.7 kW load (load factor would be less than 0.6). Therefore it is important to select the right size of motor for application in design stage. The load factor of motors also depends on the running speed. A motor running at higher speed has a better (higher) load factor than the same motor running at lower speed. Pay attention that the load factor of the motor is 0.707 at the point that the maximum torque is achieved. The maximum torque occurs in motors critical slip (S) in which the ohmic resistance of rotor R is equal to its reactance X. Why should the voltage applied to a motor follow the frequency changes? When a motor is running in the speed less than its nominal speed, its input voltage must be reduced proportional to the speed (or frequency) to keep the motor running efficiently. If the voltage of the motor does not been reduced proportional to the frequency, the motor core will be saturated and will consume higher current generating electromagnetic field. When the frequency implemented is more than the motor normal frequency, the input voltage need to be kept in its nominal value. Although the core saturation consideration allows increasing the voltage, it shall not be increased due to wiring insulation restrictions. How do you compare the output torque of a DC motor with an induction motor? DC motors have higher starting torque among all types of motors. But their speed is very high in no load condition. Therefore they are used in applications which need high starting torque but the speed control is not an issue. For example they are proper for car engine starters. The output torque of a DC motor is proportional to the square of the motor current. But in induction motors, the output current is proportional to the square of input voltage. Which value shall be expected for insulation resistance of motors? The minimum expected insolation resistance (MΩ) of phase to phase winding measurement is 1×U(kV, nominal voltage) at operating temperature 75 ºC or 15×U(kV) at cold condition i.e. approximately 20ºC. If the measurement reveals that the minimum value is not met, the machine must NOT be taken into operation and the winding shall be dried. I order to evaluate the condensation quality, we recommend calculating the polarization index N. N is the ratio of resistance value measured after 60 sec to the resistance value measured after 15 sec. by Megger test. If N≥1.3 then the winding is dry. But if N<1.3 then the winding shall be dried. Consider that the drying temperature shall not exceed 75ºC. Pay attention an electrical insulation resistance would be reduced by approximately 1.5% per each 100 meter increase in altitude of where the equipment is going to be installed. 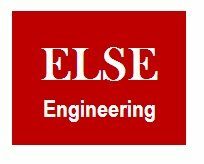 Which values shall be implemented for starter winding warning and tripping temperatures in control system to protect the motor? The warning and tripping temperatures are depends on the stator winding class. If a motor is running in reverse direction of its electromagnetic field, it would stop immediately and try to run in the same direction of the electromagnetic field. Reversing electromagnetic field direction is easily achievable by reversing the phase sequence of the motor that means replacing of two phases of input voltage together. This method of motor braking is called plugging. If the higher rotor resistance results in the higher starting torque, why induction motors are not designed with higher rotor resistance? If a motor be designed with high rotor resistance, the start torque will be high. On the other hand in normal operation the speed slip will be high which results in lower efficiently. In some induction motors the rotor winding is accessible via slipring. Therefore it is possible to add resistance in the rotor circuit during motor starting to achieve higher starting torque. The resistance then will be taken out from the rotor circuit to achieve higher efficiency during normal operation. Starters which are working in this way are known as resistance starers. What is different types of inductions motors? Electrical motors are designed in four different types A, B, C and D. the difference is between their torque-speed characteristics as shown below. Motors type B can be used in same applications as motor type A. But their starting current is usually 25% less than type A. That is why type A motors are widely replaced with type B motors in recent applications. Is there any restriction in reducing the induction motor start current by reducing the input voltage? Although the start current of a motor is proportional to the input voltage, the torque at the output of the motor is proportional to the square of the input voltage. Therefore the 5% reduction on motor input voltage causes an approximately 10% reduction on output power which is proportional to the output torque (P = τω). So the input voltage reduction which is implemented by soft-starters is not suitable for applications which require high starting torque. What are the voltage transient limits during motor starting? The motors are specified in accordance with AS 1359 to be suitable for starting voltages of 80% nominal rated voltage. Therefore, the voltage on motor terminals should not drop more than 20% while starting the motor. As part of this voltage drop is caused by cables feeding the motor, switchboard voltages should be maintained within ±10% of the nominal value for transient condition. These restrictions are applicable for both power study and cable sizing. Based on common practice the following factors can be utilized in the compilation of the plant load list. This is a good practice as well.